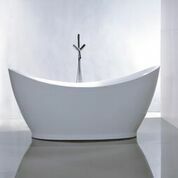 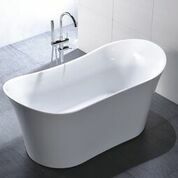 The bowl like design of this free standing tub makes it appear very inviting to take a nice long soak. The size is great enough for even a tall person to relax comfortably. 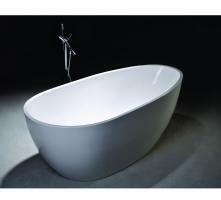 The acrylic material that it is made from is high gloss white and resists bacteria. 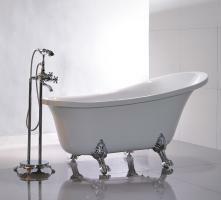 This would be a welcome addition to the bathroom.